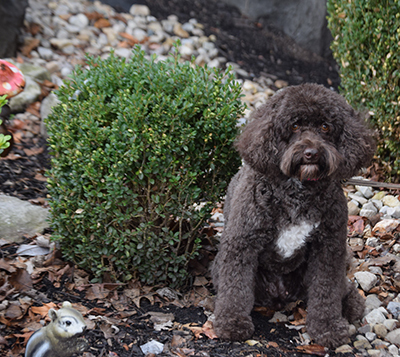 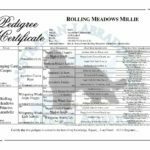 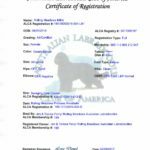 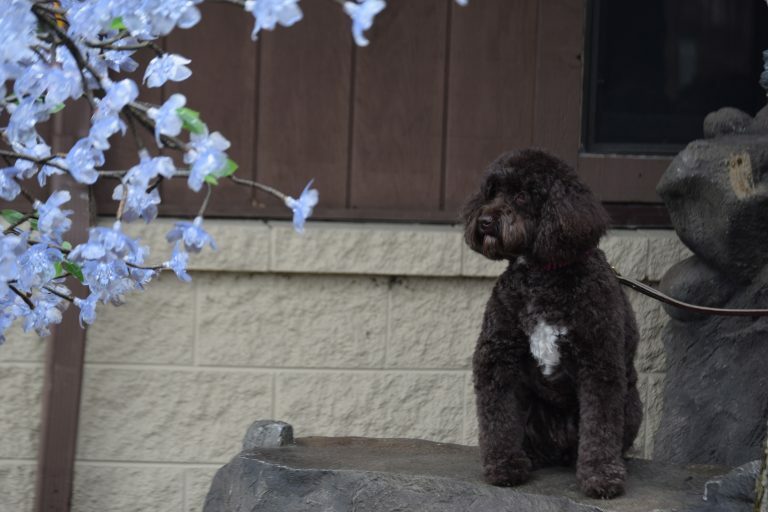 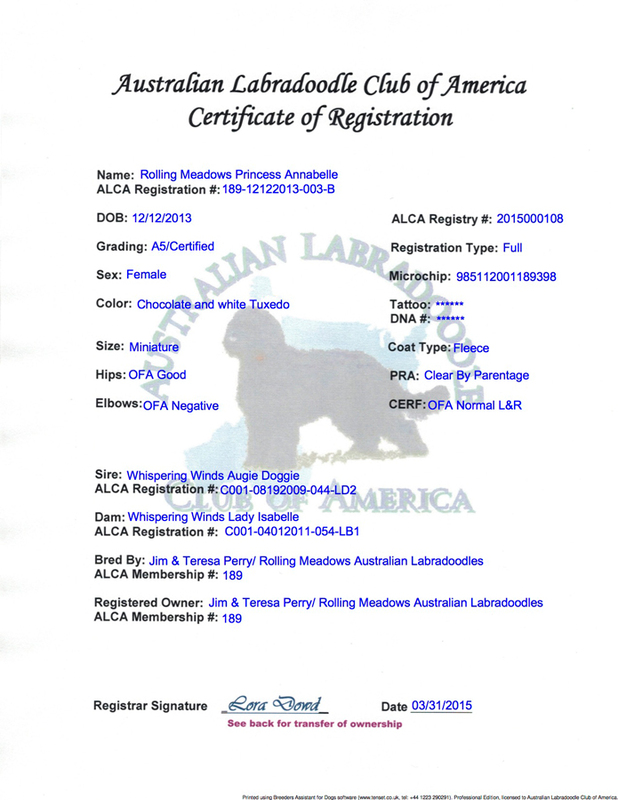 Rolling Meadows Princess Annabelle is a medium size registered Australian Labradoodle with the ALCA, chocolate color with white tuxedo, and fleece coat. 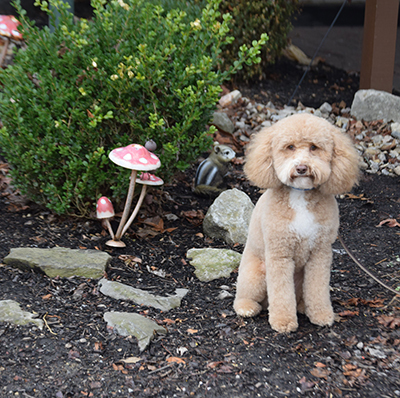 Millie is an apricot curly girl with white tux. 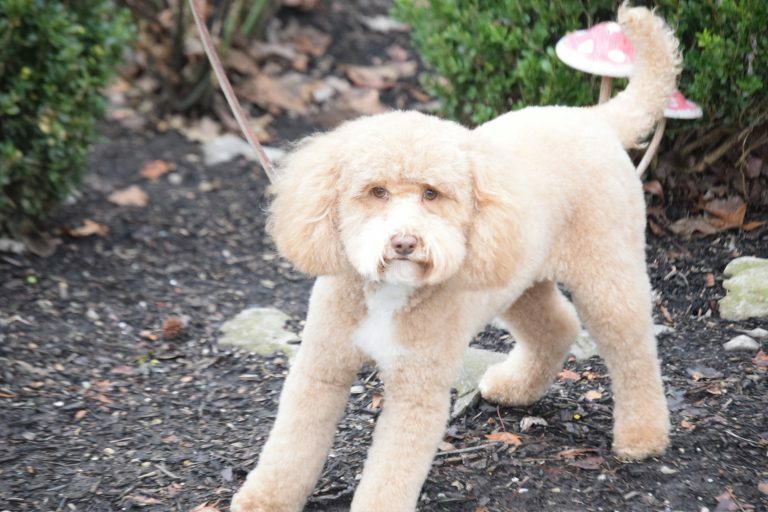 Calm personality with lots of doodle affection. 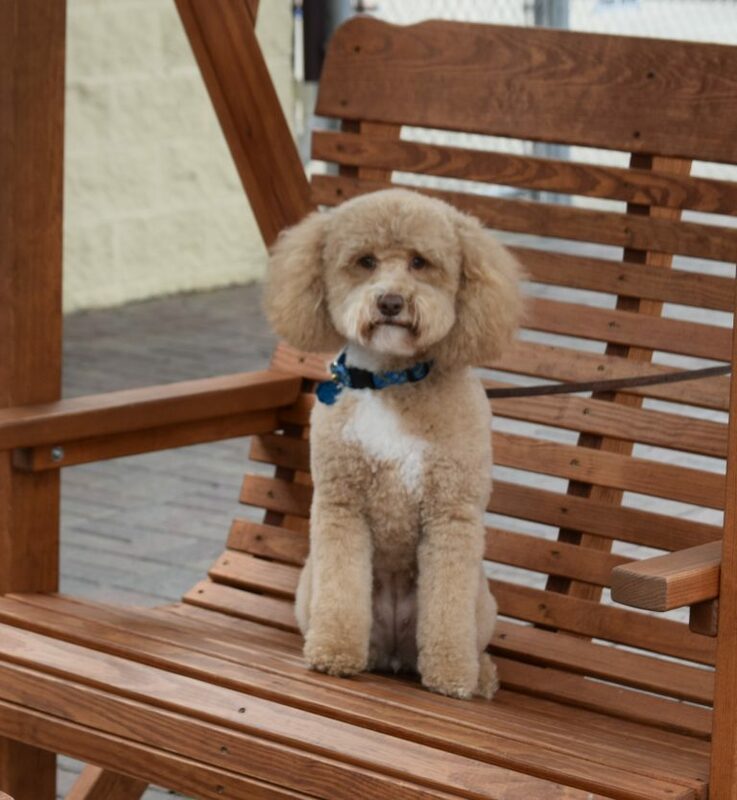 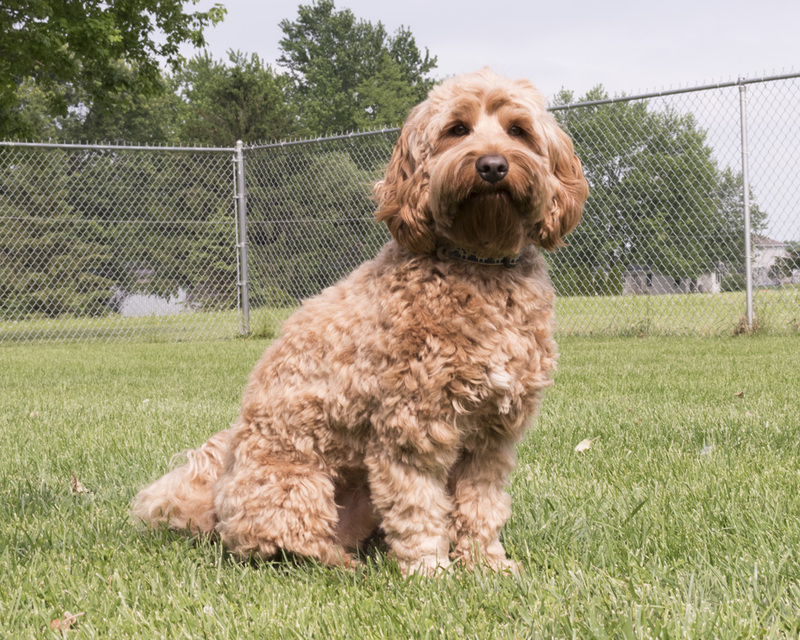 Available to sire, Swinging Gates Max is a medium sized red Australian Labradoodle. Intelligent, playful and friendly, registered with the ALCA, and has a fleece coat.